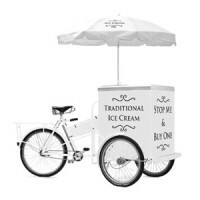 We love taking our ice cream bike to weddings here, there and everywhere but a decorated ice cream trike can also look great at birthday parties or other special events indoors or outside at any time of the year. 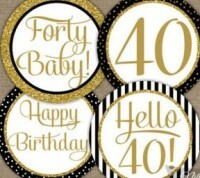 We can decorate the bike to suit your occasion with buntings, lights and trimmings to fit in with your party. Whatever the occasion a Sevanetti ice cream bike serving Marshfield ice creams will go down a storm! Red, white and blue decorations to celebrate the wedding of harry and Meghan in 2018. 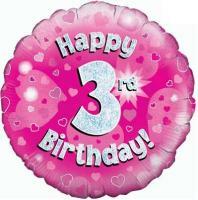 ​With a choice of coloured buntings and decorations on our ice cream bike, we are able to dress to suit your special event. All details on the bike will be colour matched to your choice of bunting, even the menu cards showing your choice of ice creams and sorbets. 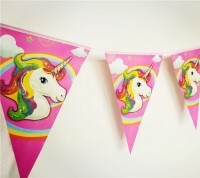 If you have an idea for a unique bunting or decoration just let us know. 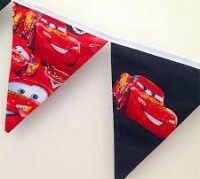 A £30.00 charge will usually cover the cost of a custom bunting especially for you!